Planning your ultimate culinary travel adventure is now a piece of cake with the newly launched Food Routes platform. Showcasing unique and diverse South African culinary destinations via an interactive website, Food Routes empowers food-loving travellers to pick and plan their preferred ‘wine, dine and recline’ experiences at the click of a button. Whether you are an avid traveller; intrepid explorer; foodie lover, or pleasure seeking businessman, Food Routes ticks all the right boxes when it comes to offering the country’s warm hospitality through a fusion of excellent accommodation offerings and memorable epicurean experiences. Via its effortless online booking system, one gets access to endless journeys of enjoyment destined to fulfil the food lover’s quest for the Eden’s of eating and the Shangri-La’s of sleep – enhanced with authentic taste adventures and food related points of interest guaranteed to enchant the Foods Routes traveller whilst en route. Food Routes has now also introduced an invaluable ‘Food Forensic Tool’ called Culinary Sensibility Identities (CSI) on its website. This serves as a nifty online evaluation process in which the traveller can compare and match his own unique culinary personality profile to that of a compatible destination. 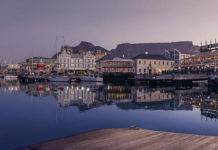 From über-cool city spaces to unspoilt hideaways in the Karoo; relaxing mountain retreats to awe-inspiring seaside lodging, the featured Food Route establishments are all cocooned in comfort and luxury, but are as diverse as their menus. 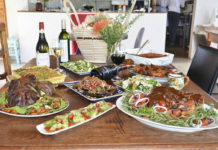 Food Routes has also identified a selection of unparalleled and authentic dining experiences in South Africa, including some of the DSTV Eat Out Top 10 restaurant super stars of South Africa. The Food Routes website is a visual feast for the eyes and features numerous culinary experiences i.e. – a handy map and route planner – monthly chef chitchats – delicious recipes – a laser-beam focus on the best festivals and markets as well as a Table Talk blog to dish out the latest food for thought. Visit www.foodroutes.co.za for more information. Previous articleDo you need vaccinations before travelling abroad? Welcome to Bluebird Café, where there is an unique seat for everyone!